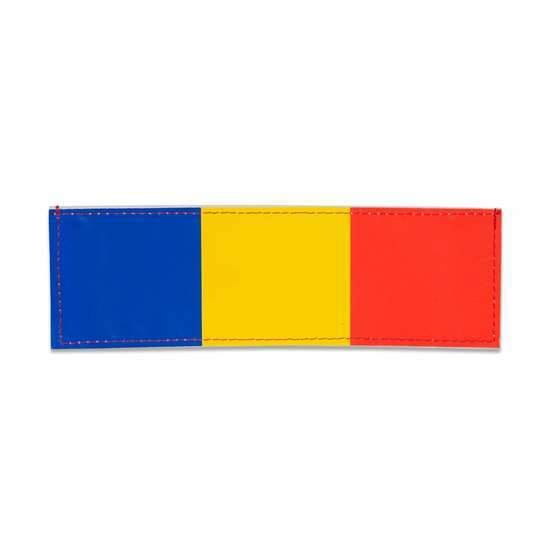 Roumanian flag Julius-K9 harness label, large - Las Vegas K9 Inc. Fixed with Velcro, so it’s easy to attach on the label field of any K9-Powerharness and IDC-harness models. You can also put it on any textile surfaces, f.i. bags, team uniforms or dog collars. Available in two different standard sizes, just as our Velcro logos.